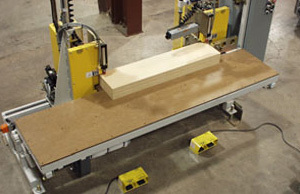 Air Tables Reduce Labor and Heavy Lifting for Wood and Related Industry Applications – Creative Automation, Inc.
Creative Automation Air tables are ideal for assisting people in moving heavy or bulky products. They are available in endless configurations and can be used with a variety of products including: stacks of panels, windows and stone countertops. 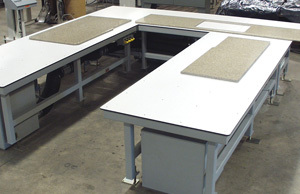 Mating of stone countertops is checked on these air tables. 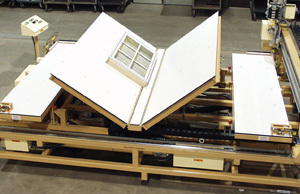 This air table station features an integrated turnover to flip windows during the assembly process. Stand-alone panel notcher with integrated air table.